For settlements that never existed, see Phantom settlement. For other uses, see Ghost town (disambiguation). 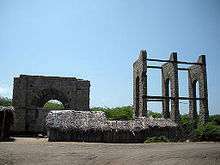 Plymouth, Montserrat, is the only ghost town that was the capital of a political territory. A ghost town is an abandoned village, town, or city, usually one that contains substantial visible remains. A town often becomes a ghost town because the economic activity that supported it has failed, or due to natural or human-caused disasters such as floods, government actions, uncontrolled lawlessness, war, or nuclear disasters. The term can sometimes refer to cities, towns, and neighborhoods that are still populated, but significantly less so than in years past; for example those affected by high levels of unemployment and dereliction. Some ghost towns, especially those that preserve period-specific architecture, have become tourist attractions. 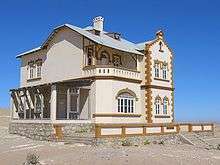 Some examples are Bannack, Montana; Calico, California; Centralia, Pennsylvania; Oatman, Arizona; and South Pass City, Wyoming in the United States; Barkerville, British Columbia in Canada; Craco in Italy; Elizabeth Bay and Kolmanskop in Namibia; Pripyat in Ukraine; and Danushkodi in India. Visiting, writing about, and photographing ghost towns is a minor industry. 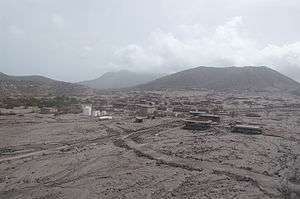 The town of Plymouth on the Caribbean island of Montserrat is a ghost town that is the de jure capital of Montserrat. The dismantling of a boomtown can often occur on a planned basis. Mining companies nowadays will create a temporary community to service a mine site, building all the accommodation shops and services required, and then removing them once the resource has been extracted. Modular buildings can be used to facilitate the process. A gold rush would often bring intensive but short-lived economic activity to a remote village, only to leave a ghost town once the resource was depleted. Railroads and roads bypassing or no longer reaching a town can create a ghost town. 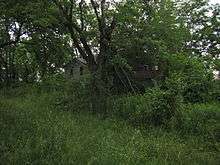 This was the case in many of the ghost towns along Ontario's historic Opeongo Line, and along U.S. Route 66 after motorists bypassed the latter on the faster moving highways I-44 and I-40. Some ghost towns were originally founded along railways where steam trains would stop at periodic intervals to take on water. Amboy, California was part of one such series of villages along the Atlantic and Pacific Railroad across the Mojave Desert. Ghost towns may be created when land is expropriated by a government and residents are required to relocate. One example is the village of Tyneham in Dorset, England, acquired during World War II to build an artillery range. Construction of dams has produced ghost towns that have been left underwater. Examples include the settlement of Loyston, Tennessee, U.S., inundated by the creation of Norris Dam. The town was reorganised and reconstructed on nearby higher ground. Other examples are The Lost Villages of Ontario flooded by Saint Lawrence Seaway construction in 1958, the hamlets of Nether Hambleton and Middle Hambleton in Rutland, England, which were flooded to create Rutland Water, and the villages of Ashopton and Derwent, England, flooded during the construction of the Ladybower Reservoir. Mologa in Russia was flooded by the creation of Rybinsk reservoir, and in France the Tignes Dam flooded the village of Tignes, displacing 78 families. Many ancient villages had to be abandoned during construction of the Three Gorges Dam in China, leading to displacement of many rural people. In the Costa Rican province of Guanacaste, the town of Arenal was rebuilt to make room for the man-made Lake Arenal. The old town now lies submerged below the lake. Old Adaminaby was flooded by a dam of the Snowy River Scheme. Construction of the Aswan High Dam on the Nile River in Egypt submerged archaeological sites and ancient settlements such as Buhen under Lake Nasser. Ghost town Rerik-West in Mecklenburg, Germany. Abandoned by the Red Army after 1992, and turned into a restricted area due to ammunition contamination. Catastrophic environmental damage caused by long-term contamination can also create a ghost town. Some notable examples are Times Beach, Missouri, whose residents were exposed to a high level of dioxins, and Wittenoom, Western Australia, which was once Australia's largest source of blue asbestos, but was shut down in 1966 due to health concerns. Treece and Picher, twin communities straddling the Kansas–Oklahoma border, were once one of the United States' largest sources of zinc and lead, but over a century of unregulated disposal of mine tailings led to groundwater contamination and lead poisoning in the town's children, eventually resulting in a mandatory Environmental Protection Agency buyout and evacuation. Contamination due to ammunition caused by military use may also lead to the development of ghost towns. 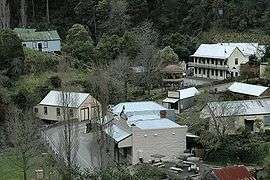 A few ghost towns get a second life, often due to heritage tourism generating a new economy able to support residents. 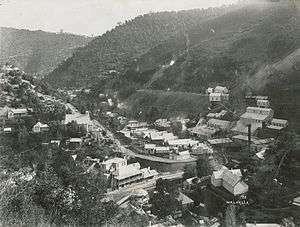 For example, Walhalla, Victoria, Australia, became almost deserted after its gold mine ceased operation in 1914, but owing to its accessibility and proximity to other attractive locations it has had a recent economic and holiday population surge. Wars and rebellions in some African countries have left many towns and villages deserted. Since 2003, when President François Bozizé came to power, thousands of citizens of the Central African Republic have been forced to flee their homes as a result of the escalating conflict between armed rebels and government troops. Villages accused of supporting the rebels, such as Beogombo Deux near Paoua, are ransacked by government soldiers; those who are not killed have no choice but to escape to refugee camps. The instability in the region also leaves organized and well-equipped bandits free to terrorize the populace, often leaving villages abandoned in their wake. Elsewhere in Africa, the town of Lukangol was burnt to the ground during tribal clashes in South Sudan. 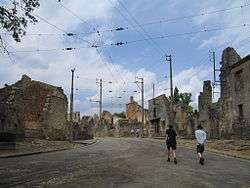 Before its destruction, the town had a population of 20,000. Many abandoned towns and settlements in the former Soviet Union were established near Gulag concentration camps to supply necessary services. Since most of these camps were abandoned in the 1950s, the towns were abandoned as well. One such town is located near the former Gulag camp called Butugychag (also called Lower Butugychag). 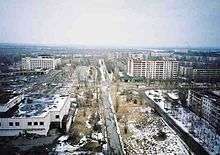 Other towns were deserted due to deindustrialisation and the economic crises of the early 1990s attributed to post-Soviet conflicts. Some ghost towns have revived their economies and populations due to historical and eco-tourism, such as Barkerville. Barkerville, once the largest town north of Kamloops, is now a year-round Provincial Museum. In Québec, Val-Jalbert is a well-known tourist ghost town; founded in 1901 around a mechanical pulp mill that became obsolete when paper mills began to break down wood fibre by chemical means, it was abandoned when the mill closed in 1927 and re-opened as a park in 1960. 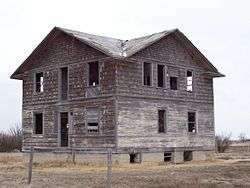 There are many ghost towns or abandoned communities in the American Great Plains, the rural areas of which have lost a third of their population since 1920. Thousands of communities in the northern plains states of Montana, Nebraska, North Dakota and South Dakota became railroad ghost towns when a rail line failed to materialize. Hundreds more towns were abandoned when the US Highway System replaced the railroads as the favored mode of travel. Ghost towns are common in mining or mill towns in all the western states, and many eastern and southern states as well. Residents are compelled to leave in search of more productive areas when the resources that had created an employment boom in these towns were eventually consumed. Some unincorporated towns become ghost towns due to flooding caused by dam projects that created man–made lakes, such as Oketeyeconne. 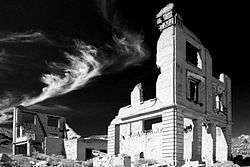 Starting in 2002, an attempt to declare an "official ghost town" in California stalled when the adherents of the town of Bodie, in Northern California, and those of Calico, in Southern California, could not agree on the most deserving settlement for the recognition. A compromise was eventually reached – Bodie became the "official state gold rush ghost town", while Calico was named the "official state silver rush ghost town". On April 10, 2015, at the West Texas Historical Association's 92nd annual meeting, at Amarillo College in Amarillo, presented a program on ghost towns in Texas. Scheduled participants were James B. Hays of Brownwood, "Walthall and the Early Settlement of Southern Runnels County"; Mildred Sentell of Snyder, "Black Gold and the Ghost Town of Burnham, Garza County", and Christena Stephens of Nazareth, Texas, "How Mortality Records Can Provide a Historical Picture of a German Community." 1 2 Baker, T. Lindsay (2003). More Ghost Towns of Texas. Norman, OK: University of Oklahoma Press. ISBN 0806135182. 1 2 Brown, Robert L. (1990). Ghost Towns of the Colorado Rockies. Caldwell, Idaho: Caxton Printers. p. 15. ISBN 0870043420. ↑ Hall, Shawn (2010). Ghost Towns and Mining Camps of Southern Nevada. Charleston, SC: Arcadia Pub. p. 7. ISBN 0738570125. ↑ Graves, Philip; Weiler, Stephan; Tynon, Emily (25 January 2010). "The Economics of Ghost Towns". Social Science Research Network. Retrieved 28 December 2011. 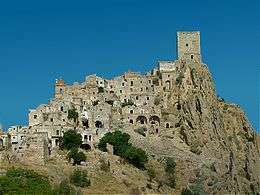 ↑ "Most Popular Titles With Location Matching "Craco, Matera, Basilicata, Italy"". Internet Movie Database. Retrieved 15 November 2013. ↑ Mould, R. F. (2000). "Evacuation and Resettlement". Chernobyl Record: The Definitive History of the Chernobyl Catastrophe. Bristol: Institute of Physics Publishing. pp. 103–117. ISBN 075030670X. ↑ Brundage, John F.; Shanks, G. Dennis (August 2008). "Deaths from Bacterial Pneumonia during 1918–19 Influenza Pandemic". Emerging Infectious Diseases. U.S. Centers for Disease Control. 14 (8): 1193–1199. doi:10.3201/eid1408.071313. Retrieved 11 July 2010. ↑ "Frequently-Asked Questions about Walhalla". walhalla.org.au. Walhalla Heritage and Development League Inc. 2006–2013. Retrieved 12 January 2014. ↑ Ágoston, Gábor; Masters, Bruce (2009). Encyclopedia of the Ottoman Empire. Infobase Publishing. p. 33. ISBN 1438110251. ↑ The World Factbook – Egypt. Central Intelligence Agency. Retrieved 13 September 2012. ↑ Thompson, Mike (15 December 2008). "Deserted villages and abandoned lives". BBC News. Retrieved 18 December 2008. ↑ Thompson, Mike (18 December 2008). "Massacre haunts CAR villagers". BBC News. Retrieved 18 December 2008. ↑ "South Sudan 'sends more troops' to strife-torn town Pibor". BBC News. 1 January 2012. Retrieved 1 January 2012. ↑ Santcross, Nick; Ballard, Sebastian; Baker, Gordon (2001). Namibia Handbook: The Travel Guide. Footprint books. ISBN 1-900949-91-1. ↑ Shephard, Wade (2015). Ghost Cities of China: The Story of Cities without People in the World's Most Populated Country. Zed Books. ISBN 9781783602186. ↑ "The City of the Dead: The ghostly Chinese town filled with luxury properties that nobody lives in". Daily Mail. 22 April 2014. ↑ "Bulgaria's population is 7.3 million - official 2011 census results". The Sofia Echo. 21 July 2011. Retrieved 21 August 2012. ↑ "Sos Mundo Rural Aragonés alerta de la despoblación de los pueblos" (in Spanish). Diario de Teruel. 12 March 2013. Retrieved 11 April 2013. ↑ Ramsey, Bruce (1963-1975). Ghost Towns of British Columbia". Vancouver: Mitchell Press. ↑ Weis, Norman D. (1971). Ghost Towns of the Northwest. Caldwell, Idaho, USA: Caxton Press. ISBN 0-87004-358-7. ↑ "California State Gold Rush Ghost Town". NetState. Retrieved 28 December 2011. ↑ "Ghost Towns and Cemeteries: The Eclipsing of Life for West Texans and Their Settlements" (PDF). West Texas Historical Association. Retrieved March 21, 2015. Curtis, Daniel R. "Pre-industrial societies and strategies for the exploitation of resources. A theoretical framework for understanding why some settlements are resilient and some settlements are vulnerable to crisis.". Academica.edu. New Day - Any Ghost Towns or abandoned structures from 1800s or earlier near where you live?, blog on DailyKos, 18 July 2013.